Just as South Korea is an ally of the US yet doesn’t fully trust President Donald Trump, North Korea deals with Russia but does not completely trust Moscow. Pyongyang remembers well that North Korean gastarbeiters (guest workers) were once deported from Russia, and that Moscow also previously backed sanctions on North Korea. Russia offers North Korea a means to avoid being absolutely dependent on China. On the Korean Peninsula, where many powers are engaged in convoluted ploys with each other, the notions of foe and friend have become increasingly blurred. Kim’s summit with Trump might have been the forefront of world news, but other developments have consequently gone little discussed. Just before the Singapore summit, Russian Foreign Minister Sergei Lavrov visited North Korea and met with Kim Jong-un, inviting him to visit Russia. The message behind the invitation was that Russia offered North Korea a means to avoid being absolutely dependent on China. Kim Jong-un seems to share the same thought, and he replied to Lavrov’s invitation that, while busy, he would still find time for the trip. Vladivostok is the likely venue for a rendezvous between Kim and Russian President Vladimir Putin. Moscow is taking advantage of the peculiar détente on the Peninsula to propose projects that would bring both Koreas together, and, moreover, benefit Russia’s economic and geopolitical interests. Soon after the Trump–Kim meeting, Putin met the South Korean leader to discuss increasing economic cooperation between the two countries. One idea was the construction of a railroad network to connect Russia and broader Eurasia with South Korea. Naturally, the road would cross North Korea, with which Russia shares a 17-kilometre border and railroad bridge built in 1959. The Kremlin had previously explored the possibility of laying gas lines through North Korea several years ago when North Korea was run by Kim Jong-il, father of the present-day leader. Putin and South Korean President Moon Jae-in also most likely discussed gas pipelines that could send Russian gas to South Korea, as well as other projects. 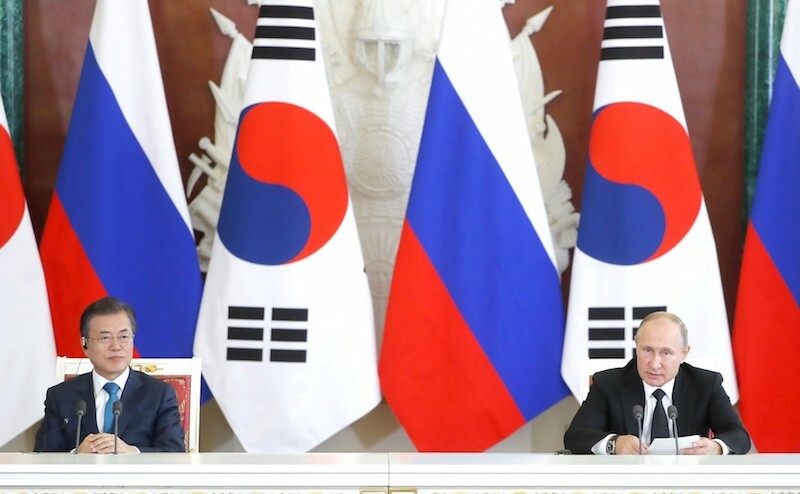 Russia and South Korea’s gas cooperation already has a broad context. South Korean companies have helped Russia to develop gas and oil fields in the Russian Arctic. South Korean companies are also building 15 LNG tankers for Russia, designed to take gas from “Yamal-SPG” and which could sail the Arctic. As in the case of the railroads, the gas pipelines would cross North Korea. The leaders of both South and North Korea are reported in various media to have discussed similar projects. For Russia, geopolitics plays as much of a role as economics. 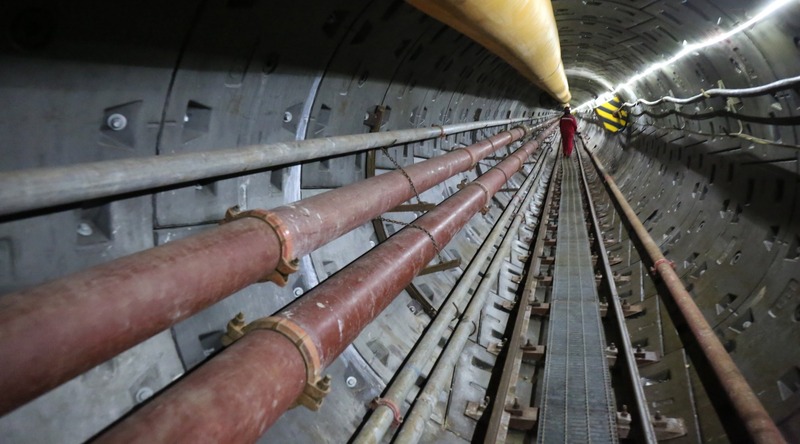 The gas line project is not particularly profitable, and as with the Nord Stream II gas line to Germany and “Power of Siberia” gas line to China, Moscow has engaged in this type of enterprise since 2014, when its relationship with the West deteriorated considerably. And Moscow also wants to demonstrate to Beijing that China is not the only market for Russian gas. It is fair to ask how the leaders of all these countries could collaborate – their ideologies seem to be absolutely opposed to each other. For example, the Russian regime is strongly anti-communist, with the recent centennial of the Bolshevik Revolution going almost completely ignored. Still, the anti-communist perspective does not prevent Moscow from dealing with Pyongyang, and in the Kremlin’s view the ideological and political differences should play no role in cooperation between Pyongyang and Seoul. Nor, apparently, is ideology a barrier for Stalinist North Korea to forge an arrangement with Trump’s America. Russia’s simultaneous arrangements with both North and South Korea indicate the fluidity and unpredictability of global politics. Some academics describe this as the game of “multi-vectorism”. In a fashion, it appears that while playing China against the West, mostly the US, in his dealings with South and North Korea, Putin played both against China.